BRUSSELS Europe's leading institutions clashed in a rare sign of public discord Tuesday over what shape future financial rescues will take following the bailout for Cyprus, creating further uncertainty and concern about the safety of keeping large deposits in European banks. In a 10 billion euro bailout deal clinched in the early hours of Monday morning, Cyprus agreed to dissolve the country's second-largest bank, inflicting significant losses - possibly up to 40 percent - on all deposits larger than $130,000. That step, agreed with the other 16 European Union countries that use the euro and the International Monetary Fund, marks the first time in Europe's 3-year-old debt crisis that large deposit holders - wealthy savers, businesspeople or institutions - will be forced to take losses as part of a eurozone rescue. The move was hailed later that day by Jeroen Dijsselbloem, the head of the Eurogroup of euro finance ministers, who said that forcing losses on banks' shareholders, bondholders and even large depositors could become the template for future rescues. However by Tuesday, Benoit Coeure, a member of the executive board of the European Central Bank, bluntly dismissed Dijsselbloem's idea. Coeure told France's Europe 1 radio that Dijsselbloem (die-SELL-bloom) was "wrong" to say that because the solution agreed on for Cyprus cannot be a model for the eurozone. Cyprus's situation is unique because of the island nation's outsized financial sector, including large deposits from foreigners, added Coeure, who sits on the ECB's six-member executive board. French President Francois Hollande insisted that the Cyprus solution is one of a kind. "What is really important regarding Cyprus ... was the exceptional, specific, unique treatment and which, nevertheless, had to be done," Hollande said at a news conference in Paris, with visiting Spanish Prime Minister Mariano Rajoy. Rajoy said he believes banking recapitalization should be done through the European Stability Mechanism, not through the deposits of savers. "I am not in agreement with that, and I will defend my position," he said. Also Tuesday a leading European Parliament lawmaker further muddied the waters by calling for the enforcement of losses on big savers to be enshrined in in law in cases of bank failures. Deposits of up to $130,000 are guaranteed by a state-backed deposit insurance scheme. In the U.S., deposits are generally insured by the Federal Deposit Insurance Corporation up to $250,000. "When a bank is in crisis, deposits below $130,000 shall be protected, but once the shareholders have lost value, the investors have lost money, then large deposits are in the last row of the pecking hierarchy," said Gunnar Hokmark, an influential Swedish member of the European Parliament who is leading negotiations on finalizing a set of laws for winding up problem banks. "Deposits will not be bailed-in until nearly all others tools are exhausted," he told the Associated Press. "But above the $130,000 level, there must be some risk, otherwise we wouldn't have the deposit insurance guarantee." The draft laws under negotiation, proposed by the European Commission, explicitly foresee the possibility to bail-in deposit holders above the guaranteed level from 2015 onward. Hokmark, who hails from Parliament's center-right majority caucus, was confident that the law will find wide support among lawmakers. EU officials had previously stressed the so-called bail-in was a "unique step" in Cyprus, but Dijsselbloem's remarks in an interview Monday clearly raised the specter for that solution to be applied elsewhere in Europe too. His comments suggesting that the approach taken in Cyprus was a model solution spooked markets and sent the euro to its lowest value against the dollar since November. "Anxiety spreads when key European leaders make such statements," said Erik Nielsen, an economist with Unicredit bank. Investors are concerned that if holders of large deposits in weaker southern European countries were to start fearing for their money, they could move it away from their domestic banks. 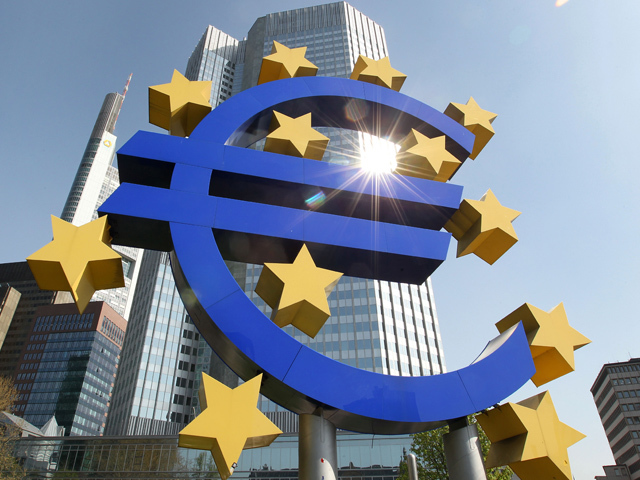 While there is an ECB stopgap to help cover a run on a bank, a steady outflow of funds would further expose a lender's capital reserves, possibly pushing them to seek support from their governments. But nations such as Portugal, Spain, Italy or Greece already have huge public debt loads, which would make it difficult for them to recapitalize their banks. Spain, unable to shoulder the burden of its ailing lenders, has already applied for a bailout from its European partners to shore up its banks. Dijsselbloem ln Tuesday defended his comments, saying it is logical to hold banks' owners and bondholders to account. "Our approach to saving troubled banks is that it's no longer going to be directly for the account of the taxpayer and the government, but that we're trying to push the risks back to the banks and the ones who have invested riskily," he told Dutch broadcaster RTL. But the ECB's Coeure rejected the idea of making the course taken in Cyprus a template for the bloc. "The experience in Cyprus is not a model," Coeure said. "I think Mr. Dijsselbloem was wrong to say what he said." "Cyprus was bankrupt. That's a situation you don't have anywhere else in the eurozone," Coeure insisted. "The situation was so special that it required a special solution. There is no reason to use the same methods elsewhere," he said. The European Commission, the bloc's executive arm, was also at pains to dispel fears ignited by Dijsselbloem's comments. Spokeswoman Chantal Hughes said "we want a solution where the taxpayer stops paying for the banks' errors" but added that Cyprus was a unique situation and wasn't a "perfect model or a model that should be used again in the same way."